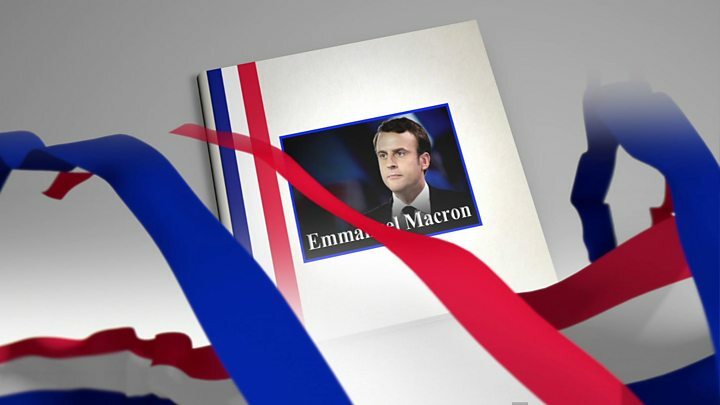 The campaign of French presidential candidate Emmanuel Macron says it has been the target of a “massive hacking attack” after a trove of documents was released online. It said it was clear that hackers wanted to undermine Mr Macron ahead of Sunday’s second round vote. The documents were leaked on a file sharing website late on Friday and the Macron camp condemned the action just before the official campaigning period ended at midnight (22:00 GMT). Candidates and the media now face restrictions until the polls close on Sunday evening, meaning Mr Macron cannot issue further statements. Opinion polls had indicated the former economy minister carried a lead of 20 percentage points or more over Ms Le Pen. Mr Macron’s En Marche movement said internal campaign documents, including emails and financial data, had been taken in an “act of massive, co-ordinated hacking”. “The leaked files were obtained several weeks ago by hacking personal and professional email accounts of several officials of the movement,” it said in a statement. France’s election authorities have warned media outlets against reporting on the contents of the leaked documents because of the restrictions now in place. Mr Macron’s team has already been the victim of hacking attacks, for which it has blamed groups based in Russia and Ukraine. It suspects the Kremlin of wanting to help Ms Le Pen, who supports a pro-Moscow foreign policy. Russia has denied that it is behind attacks aimed at Mr Macron. On Thursday, the centrist candidate filed a lawsuit over online rumours that he had a secret bank account in the Caribbean. Mr Macron called the allegations “fake news and lies” and said some of the sites spreading them were “linked to Russian interests”. What else happened on the final day of campaigning? Separate security alerts in and around Paris marred Friday’s final scramble by the candidates to court voters. What is at stake on Sunday? France’s voters have rejected the two big political parties – the Socialists and the Republicans – that have governed for decades. Voters will be making a decision on France’s future direction and on its place at the heart of the European Union. Media captionEmmanuel Macron’s unconventional route to political stardom in France. “I give myself six months to negotiate with the EU the return of sovereignty. Then it will be the French who decide,” she tweeted. The assumption is that she would fail and a referendum would take place initially on France’s membership of the euro. 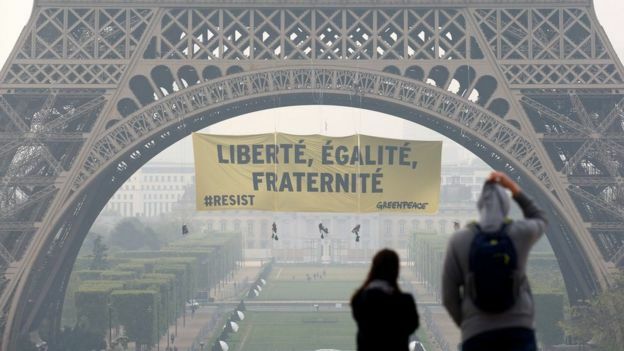 After the Brexit vote in the UK and the election of US President Donald Trump, France is the latest country to deal a blow to politics as usual. What are the battleground issues? One of the overriding issues facing French voters is unemployment, which stands at almost 10% and is the eighth highest among the 28 EU member states. One in four under-25s is unemployed. The French economy has made a slow recovery from the 2008 financial crisis and all the leading candidates say deep changes are needed. Marine Le Pen wants the pension age cut to 60 and to “renationalise French debt”, which she argues is largely held by foreigners. Emmanuel Macron wants to cut 120,000 public-sector jobs, reduce public spending by €60bn (£50bn; $65bn), plough billions into investment and reduce unemployment to below 7%. The election is taking place amid a state of emergency, and the first round took place three days after a policeman was shot dead on the Champs Elysées in the heart of Paris. Some 50,000 police will be deployed across the country along with 7,000 troops involved in the anti-terror operation begun after the January 2015 Paris attacks, according to French media. More than 12,000 police and military will be on alert in the Paris area. The security forces will primarily guard polling stations and will be organised into “dynamic patrols” set to intervene immediately in any incident, Le Figaro newspaper reported. 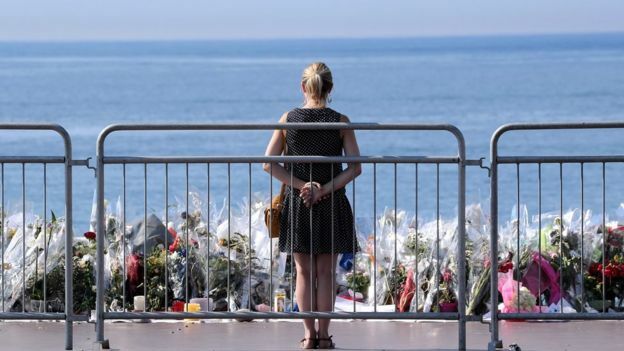 More than 230 people have died in terror attacks since January 2015 and officials fear more of the hundreds of young French Muslims who travelled to Syria and Iraq may return to commit new atrocities. Intelligence services believe attackers are deliberately pursuing a Le Pen victory, says the BBC’s Hugh Schofield in Paris – because that could tip the country into chaos. The former FN leader wants to suspend the EU’s open-border agreement on France’s frontiers and expel foreigners who are on the watch lists of intelligence services. Mr Macron and Ms Le Pen came top of the 11 candidates in total who participated in the first round of voting on 23 April. While the outcome of Sunday’s second round should be clear that evening, the results will be officially proclaimed by France’s constitutional council on Thursday, 11 May. Sunday, 14 May, marks the end of outgoing President François Hollande’s term, and is the latest possible date for the inauguration and official transfer of power to his successor. You can follow the French election on the BBC News website. Click here for all our latest stories.